It’s only been a week since Spain’s cabinet approved a law offering citizenship to Sephardic Jews, but Israelis are already tripping over each other in their race to apply. Between 700 and 800 have sent email inquiries to Maya Weiss-Tamir, an Israeli lawyer who deals with European citizenship applications, according to a report published Thursday in The New York Times. “It doesn’t stop; the response has been crazy,” Weiss-Tamir said. Apparently, Israelis just can’t wait to become Spanish. As exciting as this news may be for individual Israelis, for Israel itself, it’s downright embarrassing. Because when you put Spain’s new law next to Israel’s current policy, the latter looks pretty bad by comparison. The Spanish law — which won’t become official until it makes it through the Parliament — is murky on a lot of points, but it clearly takes an inclusive approach to determining Jewish status. In fact, it specifies that you don’t even need to identify as Jewish to claim citizenship as a Sephardic Jew; the application in no way hinges on your “ideology, religion or beliefs.” Meanwhile, Israel’s Chief Rabbinate — which accepts or rejects the Jewish status of those who have converted abroad, and so impacts many of the state’s potential immigrants — is notoriously exclusionary. The timing of this Spain business is particularly awkward. Earlier this winter, controversy erupted over the Chief Rabbinate’s decision to reject determinations of Jewish status made by New York’s Rabbi Avi Weiss. That decision was overturned in January, thanks in part to pushback from an outraged American Jewish community. But that didn’t stop Weiss from penning a scathing critique of the Rabbinate for the Times opinion page. And it didn’t quell Jews’ mounting frustration with the Rabbinate’s strict, intrusive and coercive dictates. Against this backdrop, the new Sephardic citizenship law presents Israel with some supremely bad optics: It makes it look like Spain is actually more inclusive and welcoming to world Jewry than the Jewish state. 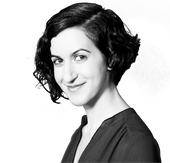 This story "How Spain's Sephardic Law Makes Israel Look Bad" was written by Sigal Samuel. Sharansky’s remarks made their way into the last paragraph of the Times report, which noted mildly that his statement “appeared to be a reciprocal gesture” occasioned by the new Spanish law. But, of course, it’s much more than that. What Sharansky is showing here isn’t just a gesture of reciprocation, but a gesture of extreme embarrassment — at the national nightmare that is the Israeli Chief Rabbinate. It’s not just Sharansky who’s fed up with the rabbinic body; ordinary Jewish Israelis are every bit as frustrated with it. Recent polling shows 30% believe it should be abolished entirely, 61% percent want to shatter its monopoly over conversions, and 62% want to put a stop to its insistence that only religious marriages should be recognized by Israel. More broadly, 61% are in favor of separating religion and state — and that number, it seems, is on the rise. Though the Israeli rush for Spanish passports probably isn’t motivated solely or even primarily by antipathy toward the Chief Rabbinate, there’s a broader sense in which that body is pushing Israelis away. By applying ultra-strict Orthodox standards to all of their personal status issues from cradle to grave, it’s broadcasting an exclusionary message that has proved deeply alienating. So maybe it shouldn’t come as a surprise that so many Israelis are now excited about the possibility of heading to a different country — one that is clearly taking a much more inclusive approach to Jewish status, and is welcoming them with open arms. Faced with these two options, would it be so crazy for Israelis to make aliyah to Spain?